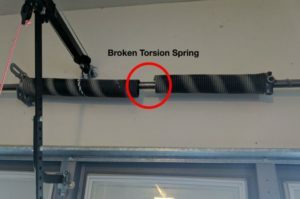 Garage door Springs Break. Door is Heavy. Dangerous. Call a pro…. Garage door off Track. 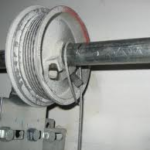 Cables off, rollers out door will not go up or down. 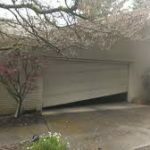 There can be many reasons for an emergency garage door repair. 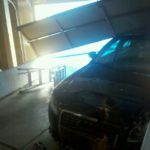 Garage doors Don’t Break when you have some where to go, But instead Garage doors Break and you find out when you are leaving. We offer garage door emergency services 24/7. Our staff is always on call to assist you. We Are The Only Company To Post Pricing For Doors That Have Come Off The Track. 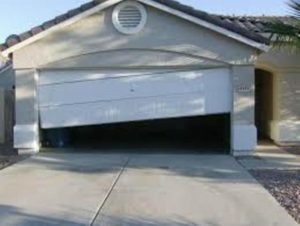 There Are Several Stages and Reasons For A Garage Door To Bind Up. Do Not Try To Fix It Your Self. If We Can Get The Door Back On Track and Fixed In The Lower Stages Then It Will Be A Less Expensive Solution. Safety Eye Sensors out of alignment or dirty – door won’t close properly, overhead light flashing? Our technicians are able to troubleshoot your door problems, provide a solution and fix the problem, right on the spot*. *Our technicians carry a large inventory of parts in the trucks. However, parts for a few custom/special order doors may be non-standard and would need to be ordered. Emergency Service Fee is $75. This is in addition to any cost of repairs/parts that may be required.